The Huskies men's hockey team defeated the University of Alberta Golden Bears and will advance to the CIS University Cup national championship. In the blink of an eye, the Saskatchewan Huskies jumped to the front of the Canada West hockey pack Saturday night. A pair of third period goals in the span of just 15 seconds were the difference for the Huskies, as the home side skated to a 3-2 win over the Alberta Golden Bears in Game 2 of the Canada West Men's Hockey Final at Rutherford Rink. 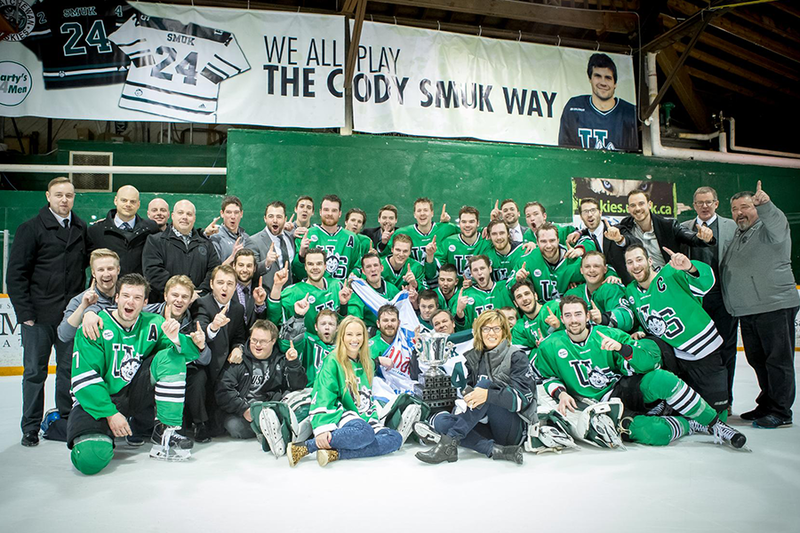 After a 4-0 win in Game 1, Saturday's result lifted Saskatchewan to their first conference banner since 2011-12 and the 16th in program history. "Our purpose is a little bigger than theirs I think, because they've done this before and they're trying to three-peat," said Saskatchewan head coach Dave Adolph, whose team tied a program record for regular season wins with 22 this season. "We're just trying to (put down) building blocks with our young kids, so it was important (for us) to (win) tonight." After trailing for nearly 40 minutes after James Dobrowolski got Alberta on the board 3:31 into the game, the Huskies made the most of two third period scoring opportunities early in the frame. Lightning-fast goals from Jesse Ross and Logan McVeigh at 3:20 and 3:35 respectively of the final period propelled the Huskies to victory. See more at the Huskies website.